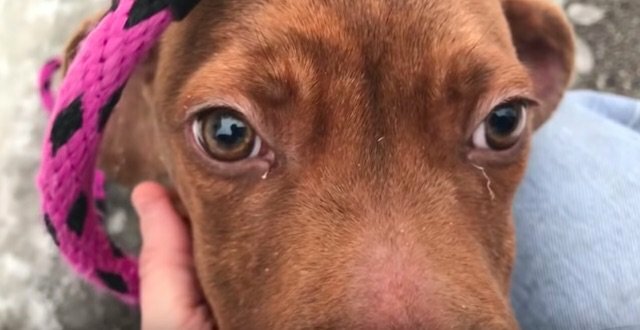 When this rescuer got closer to the dog that was in desperate need of help, her heart broke into a million pieces. The loud and mournful howls were enough evidence that the pour soul was suffering. It was huddled against a pole and had troubles getting warm on that cold weather. Above all, his body was covered in bruises and injuries, and it was one of the saddest sights this young woman has ever came across. This is how Donna from Stray Rescue of St. Louis described their first encounter on Facebook. Knowing his condition, Donna assumed that the frightened dog would run away once they get closer. But she was wrong. 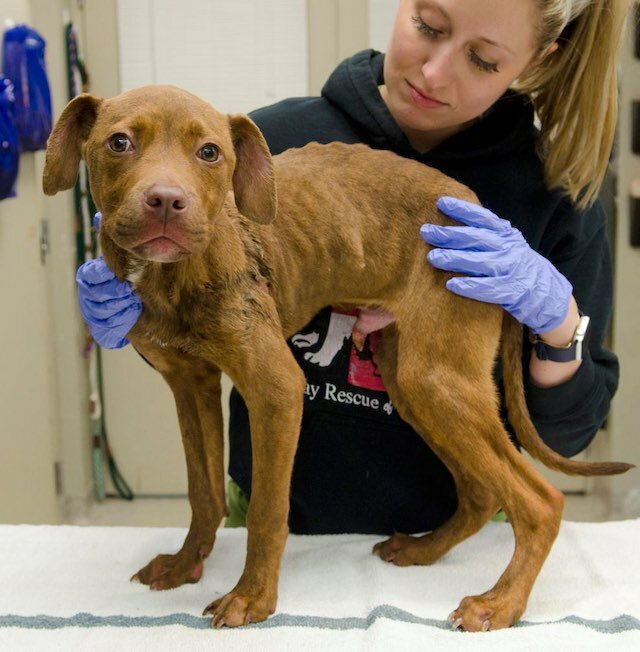 He sort of felt they were there to get him into a better life, and let his rescuers put a leash around his neck. Donna said after the thorough examination. It is a condition that affects uncircumcised males and has to be medically treated. But this lovely dog whom they named Weezer was now in the right hands. 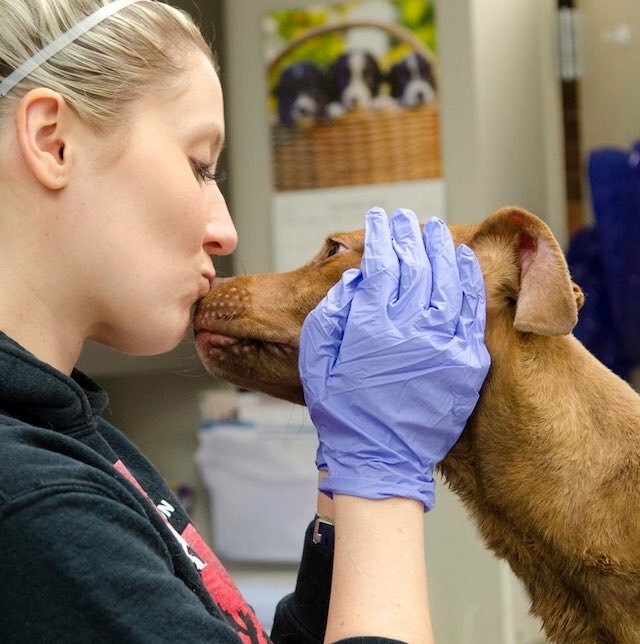 Donna and the rest of the staff were ready to provide him with all the love he needed in order to get back on track. Once Weezer got in the car he immediately started wagging his tail. It was the first step towards his bright future and he knew it. 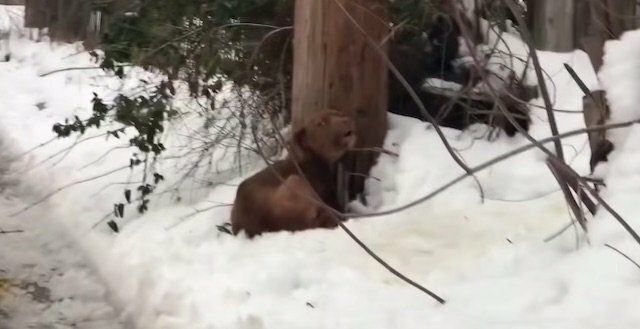 Looking at the dog, Donna said, “Aren’t you glad you came with me?” and then she thanked God her rescue pup won’t spend another minute out in the cold. Paraphimosis was easily treatable and Weezer got the much needed meds that could help him recover completely. 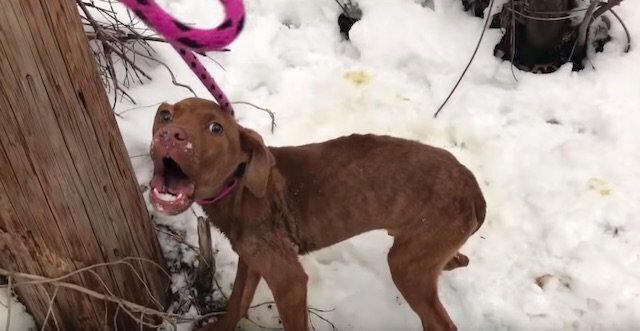 During cold weather and harsh winter conditions, we should all do our best to provide freezing animals with food and shelter. 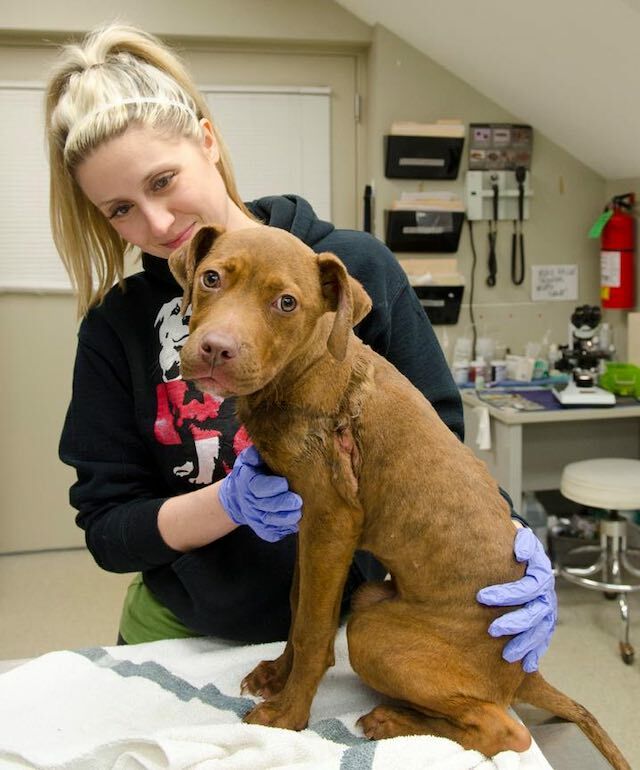 Or at least help the organizations like Stray Rescue of St. Louis with funds so that they could continue doing what they do best, and that’s saving animals’ lives. You can make your contribution by clicking here.